Scoil Ruáin endeavours to nurture positive relationships amongst the school community through its pastoral care structure, and to create an atmosphere in which students feel secure, know that they are valued and are encouraged in their learning, growth and social and spiritual development. Each year group is assigned a Year Head and Class Teachers who monitor the overall progress and welfare of the students. The teachers of Religion and SPHE, in particular, nurture the spiritual, personal and social development of each student and the Career Guidance Counsellor is always available to assist students who may need personal support. The Pastoral Care Team meets regularly to identify students having difficulty in coping with school life, to review the ongoing needs of students, and to plan future work. Scoil Ruáin has a long tradition of supporting and including students with additional educational needs. Qualified and experienced learning support teachers work hard to ensure every student can access the curriculum. Each incoming First Year student is paired with a trained Fifth Year student mentor. They meet throughout the year to ensure that the First Years are settling into their new school. The Mentor system allows new First Years to positively engage with an older student who is supportive and encouraging. As part of the Big Brother Big Sister Programme, First Year students are also paired with a Transition Year student with similar interests and hobbies. The Student Council meets weekly with the aim of improving the quality of life for students in Scoil Ruáin. The Student Council takes an active role in fundraising, organising events and representing the opinions of the student body. Breakfast is provided free of charge to all students each morning. Evening Study is available to all first, second, third, fifth and sixth year students. First Year students avail of assisted study, with teachers on hand to encourage good practice and to help students with any difficulties. A snack is provided before study begins. 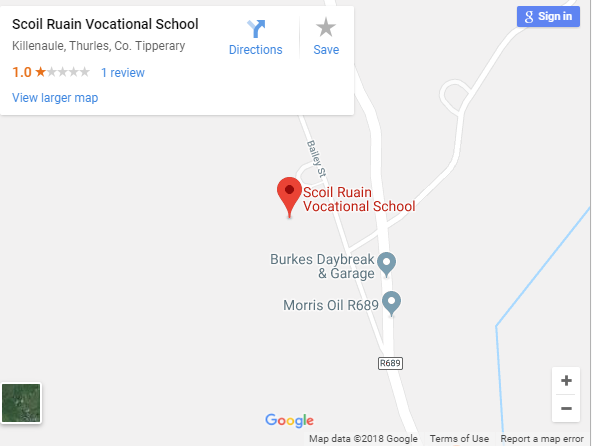 The Scoil Ruáin Parents Association is an energetic organisation which does its utmost to promote and assist students, staff and management of the school. The Parents Association meets several times a year to discuss the various academic and extra-curricular activities and events that go on in school life. These meetings are attended by the Principal and Deputy Principal. The Parents Association is actively involved in fundraising for the school as well as assisting school management with various events which occur throughout the year, for example our Open Evening and 5K Run. New members are always welcome to attend meetings and get involved in this organisation, which makes Scoil Ruáin a better place for its students. Each year, an evening of celebration in Scoil Ruáin marks the beginning of a new chapter in the lives of our first year students who have fitted in with ease into the school community. 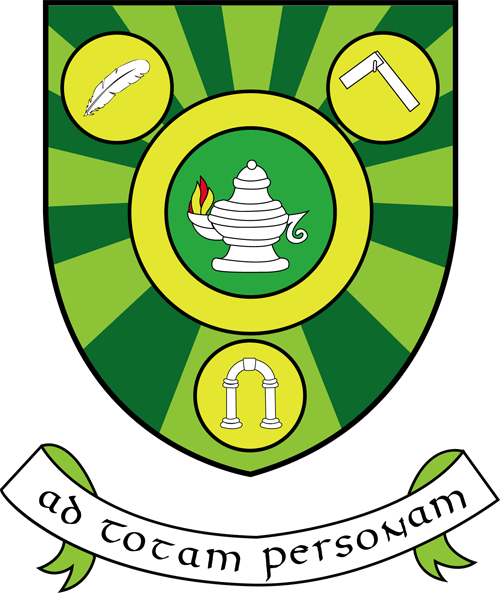 The school motto, ‘Ad Totam Personam’ frames the evening and refers to the education of the mind, the body and the spirit.